Textures (#texturessg) returns for its sophomore edition this March with the theme of Love and Loss (and some things in between). From plays to music performances, workshops and exhibitions, step into a literary safe space and embrace a festival thoughtfully curated with programmes that showcase and bring together our local writers, speakers and thinkers. Performances: Catch literary expressions transformed into theatrical enactments, music and storytelling sessions for all ages. Festival-goers with a taste for horror can look forward to a chilling Night of Terrifying Tales with live adaptations of legendary spooky tales performed by a team of storytellers led by master storyteller Kamini Ramachandran. Exhibitions: Immerse in multi-disciplinary exhibits that explore the theme through poetry, music and physical items. Step into the Room of Love and Loss dedicated to commemorating love and loss, featuring a gallery of objects significant to members of the literary community and featured artists of Textures. 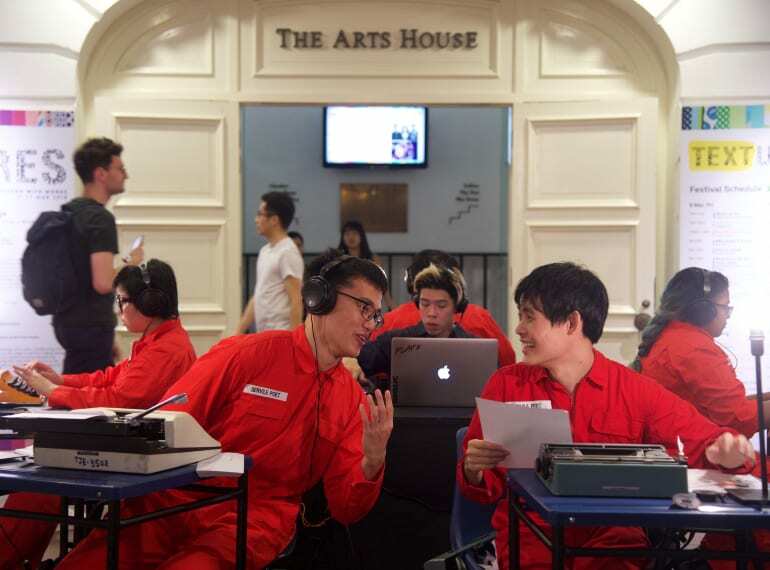 Talks and Panels: Audiences will have the opportunity to participate and discuss pertinent topics close to the hearts of locals including migrant workers during在异乡响起的人生组曲 (A Tale of Two Cities), and mental health during Will Singaporeans Ever Be Happy?. Workshops: Have fun while discovering various ways to create! From a bullet journaling workshop to exploring writing methods and comic creation, pick up a new skill or two as you explore creative literary expressions. Note: Admission to the festival grounds is free. All programmes are free unless otherwise stated.